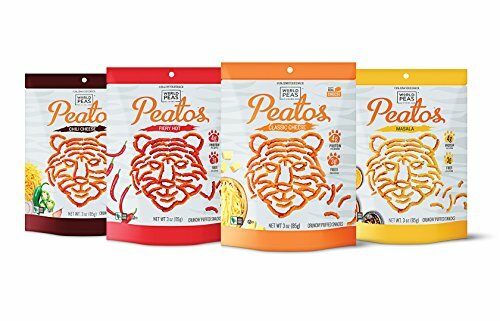 Peatos come in 4 flavors: fan favorite Classic Cheese, deliciously spicy Fiery Hot, and South-Asian inspired Masala and Chili Cheese. 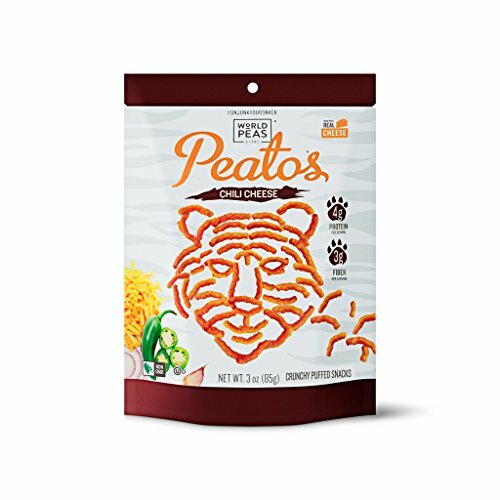 Each bag of Peatos has no artificial colors or flavors and is non-GMO, gluten free, and no added MSG. World Peas Brand believes that flavor comes first, but that doesn’t mean snacks should compromise on nutrition. Thanks to our innovative production techniques and pulses, we are able to bring full flavor AND nutrition to each snack we put in stores.WORLD PEAS PEATOS: We at world Peas are big fans of great tasting snacks. Compromising on taste is not an option. So, the World Peas team had an idea: what if we could take the “junk” out of “junk food” by using nutritionally meaningful ingredients, but keeping all the crave-able taste? We figured out a way to give you the big crunch and bold flavors you love, but without all those empty-calories. 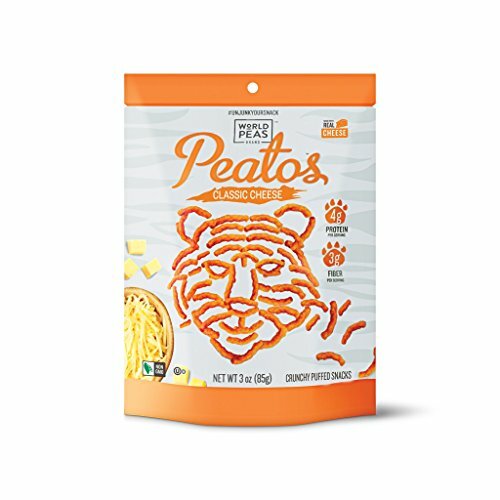 DELICIOUS MEETS NUTRITIOUS: Peatos have twice the protein and three times the fiber of other cheese puffs, so you can on snack guilt-free. Made with nutritionally dense peas & lentils, Peatos are the perfect solution for snackers who want to satisfy their craving for crunchy flavor without compromising on nutrition. FLAVOR FIRST: World Peas Brand believes that bold, feisty flavor comes first – but that doesn’t mean snacks should compromise on nutrition. Thanks to our innovative production techniques we are able to bring full flavor AND nutrition to each snack we put in stores. 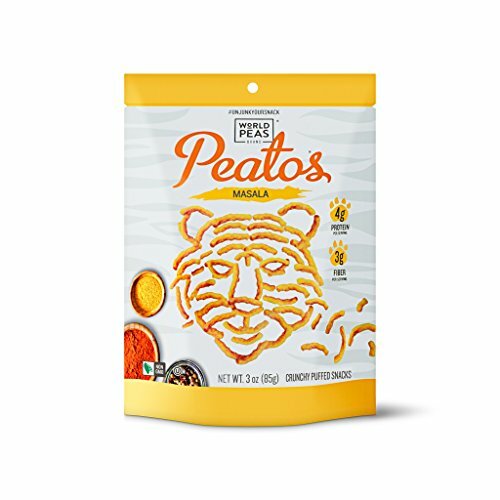 A TASTE SENSATION FOR ANY OCCASION: Peatos come in 4 flavors: fan favorite Classic Cheese, Chili Cheese, Fiery Hot, and South-Asian inspired Masala. 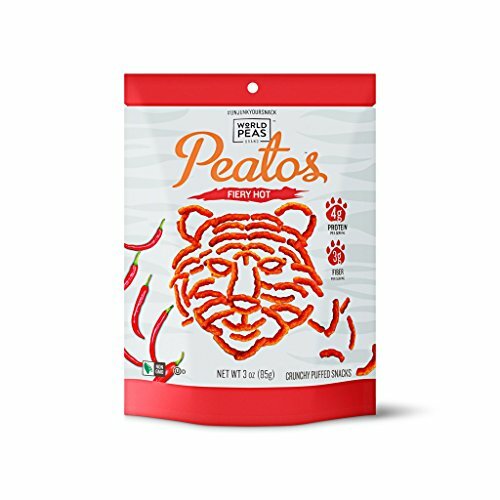 Each bag of Peatos has no artificial flavor or synthetic colors and is non-GMO, gluten free, and no added MSG. World Peas Peatos lead the pack in tasty, nutritious snacking. Compare to Cheetos Puffs, Pirate’s Booty, Annie’s, Utz cheese balls, Chester’s puffcorn, Cheez Doodles, Barbara’s Bakery, Beanitos, and Snapeas.